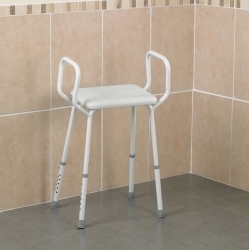 Lightweight Shower Perching Stool Portable And Safe. 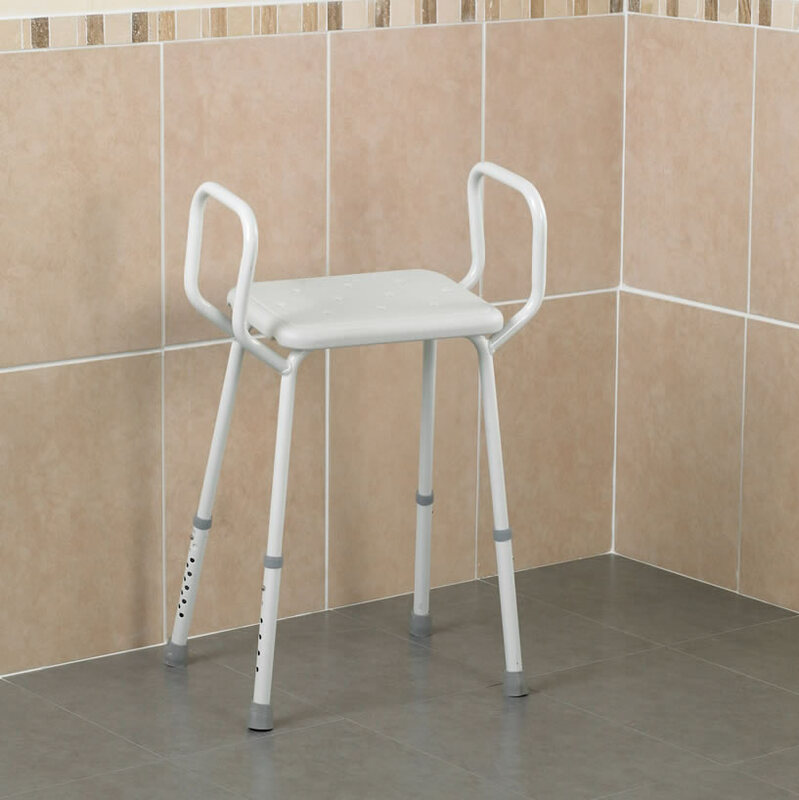 Seat height is adjustable from 510mm (20˝) to 640mm (25¼˝) in 10mm (½˝) increments. Seat width 375mm (17 ¾˝). also quite a tall stool but reversing the adjustable legs soon sorted the only quible.